Summer is upon us! It has been busy busy around the Mulberry patch, as Team Mulberrys works hard to make this the best summer yet! With Independence Day celebrations on the horizon for tomorrow, we thought we would take a minute to share two versions of our favorite easy-to-make treats with you! These recipes are very simple, and they’re a great addition to any last-minute get-together, barbecue, or party you may be throwing! There are two versions, one being family-friendly, and the other for the adult who is a kid at heart. Enjoy! A kid-friendly sweet treat for children and adults alike! 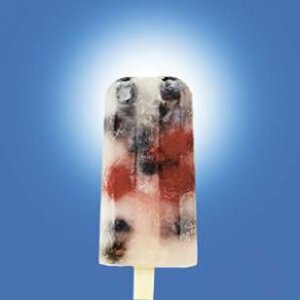 Divide the blueberries and raspberries among freezer-pop molds. Pour limeade over the berries. Insert the sticks, and freeze until completely firm (about 6 hours). An adults-only throwback to a childhood summer treat! Pour the grenadine into the bottom of the shot glass, taking care not to get it on the sides. Gently float the peach schnapps over the grenadine. Gently top off the shot glass with the blue curacao. 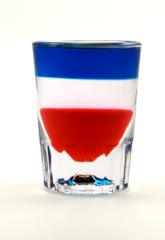 This is a layered shot the requires a little finesse, so each liqueur should be gently floated on top of the previous layer. Try pouring the liqueur over the back of a spoon to maintain the layered look of the colors.